Labour regrets the copyright error? Not so much. You might have seen that last week I blogged about the Walthamstow Labour Party stealing a copyright photo from a local blogger, and using it in one of their campaign leaflets - despite being the party who have just introduced draconian punishments for people caught infringing copyright on the net. "We take great care in ensuring that all our photos are taken by ourselves or are copyright free. It appears in this instance that one of our design team has made an innocent error which we regret." 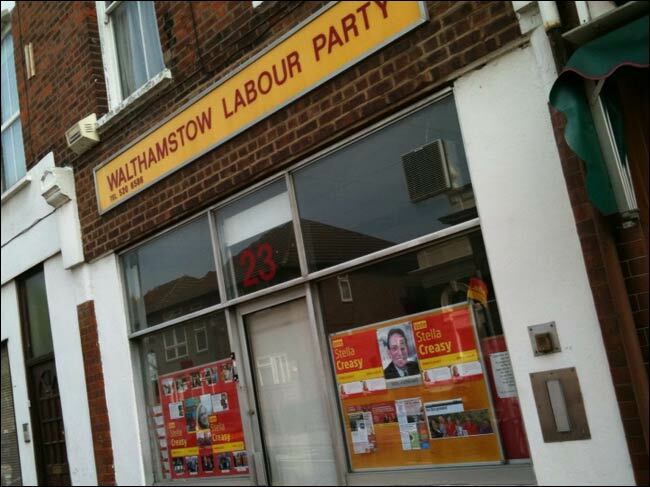 Well, when I was out walking around Walthamstow at the weekend, I saw exactly how much Labour 'regrets' using the image without permission. 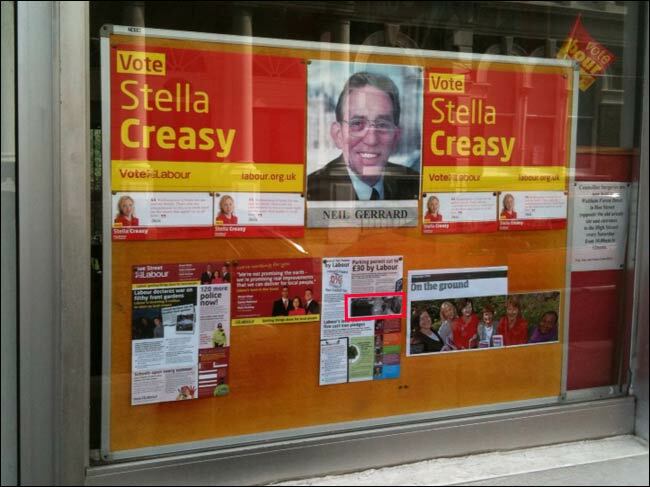 It is still prominently on display in their office window. That seems some way short of the apology that blogger Freewheeler, a Green supporter, has been demanding. Labour will legislate to protect BPI copyright, but not respect the copyright of a Walthamstow blogger and Labour regrets the copyright error? Not so much. By Martin Belam on 25 April 2010.